Since the Oscars are famous for running well over the allotted three-hour time slot, the cut-off music of the orchestra is wielded at the drop of a dime...or rather anytime someone thanks their loved ones for more than 60 seconds. However, there was one brave soldier who refused to be played off. Paweł Pawlikowski of Poland accepted the Oscar for Best Foreign Film for Ida, and promptly stole the hearts of many an Oscar viewer during his acceptance speech. Just as the music slowly rolled in, Pawlikowski began a glorious and passionate speech about his love for his fellow countrymen, their ability to have a drink, and especially for the committed crew of the film who were watching from home. Not only did he manage to speak OVER the music, he managed to cut it off. 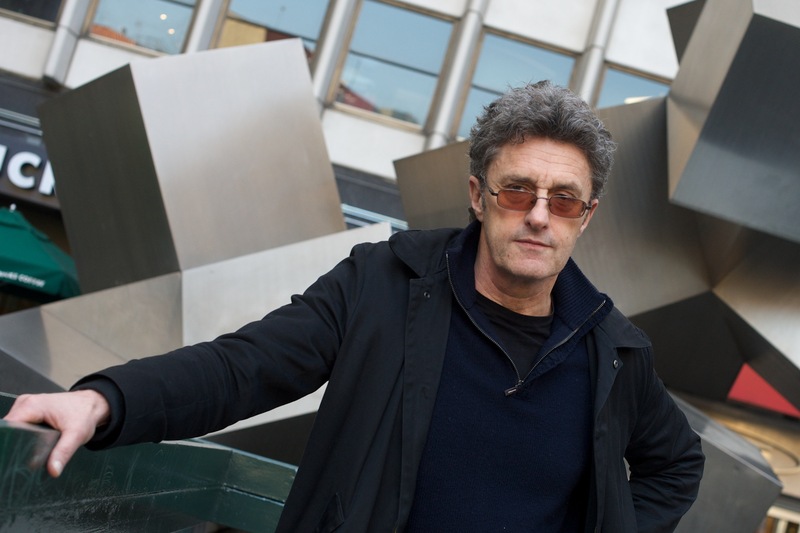 Poland took the Oscar and took the Orchestra... and Paweł Pawlikowski may have just upped Poland's filmmaking and tourism in a major way. I don't know about you, but after hearing him give his speech and conquer the cut-off music, I could really go for a jaunt to the land of pierogies and Paweł Pawlikowski. This guy knows how to party. Oh god, how did I get here. We made a film about as you saw black and white, about the need for silence, and withdraw from the world, and contemplation, and here we are. At this epicenter of noise and world attention. Fantastic. You know, life is full of surprises. So I'd like to thank the Academy. I'm honored, surprised and overwhelmed. I'd like to thank the people who backed our film — producers Eric Abraham of Portobello, Ewa Puszczynska, Piotr Dzieciol of the Polish Film Institute, and many others. They backed a — oh, and a U.S. distributor who did a great job for very little money. [MUSIC STARTS. ]Oh wrap up, good, so quickly — and to my Polish friends who are in front of the TV, the crew, who were in the trenches with us, and who are totally drunk now, and you are fantastic. You were brilliant, you carried me through this film, and you are what I love about Poland. You're resilient courage is brave and funny. And you can take a drink. And I would like to dedicate it to my... [MUSIC STOPS] ...late wife and my parents who are not among the living, but who are totally inside this film. And they have a lot to do with the film. And my children, who are hopefully watching, who are still alive. Hey oh! Thank you, thank you! Victor and Maria, Victor and Maria I love you. You are the main prize. Thank you. Life lesson: Never give up. Even when the music is playing you off stage.